1. In a large mug, combine the butter and Nutella. Microwave for 20 to 30 seconds until melted. 8. ENJOY!! See our Aggie pride? It's everywhere y'all, even in the kitchen! Love our mugs. First of all, loving the mugs of course! Secondly I have always wanted to try a mug cake! Feel free to post more recipes from your book ;) This one looks delish! Um...this looks awesome! I don't eat grain, so might have to try modifying this with coconut flour.....because seriously....that looks delish! 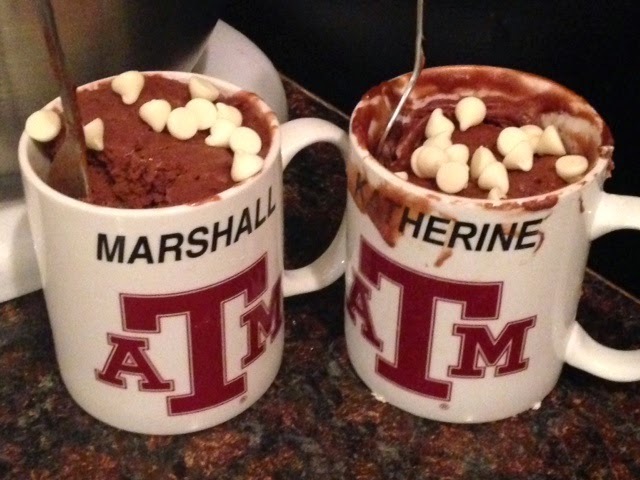 this looks amazing....and it looks even more amazing in Aggie mugs...duh! Looks yummy! check out http://blogwiththebrowns.blogspot.com/2014/04/a-leibster-award.html I nominated you for a Liebster Award!! OMG, I want some! Thanks, Katherine! Now I want some cake! 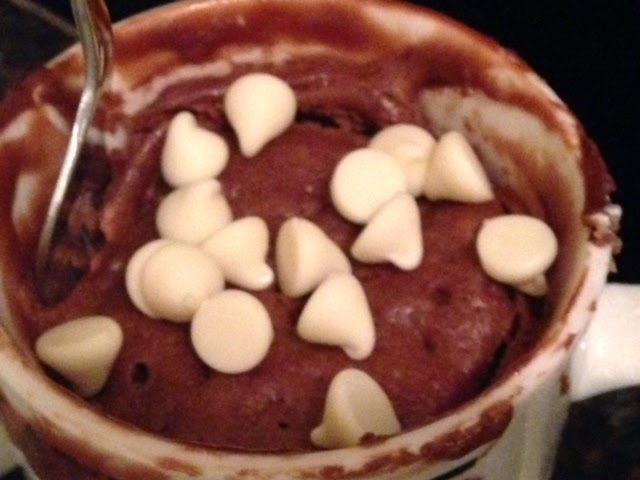 haha I'vve had a mug cake before but my friend made it. I think I am gonna have to use this recipe to try making my own!